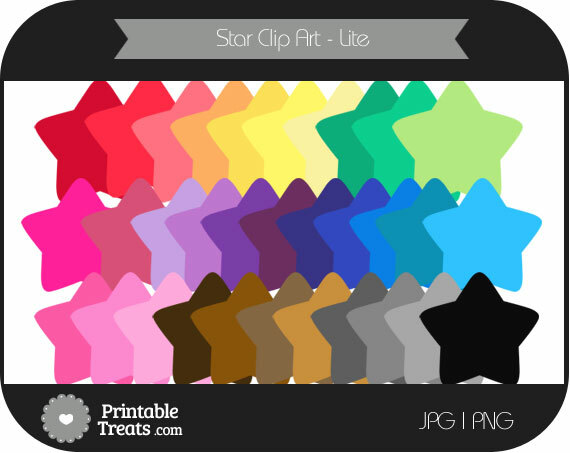 These star digital clip art in rainbow colors are great for scrapbooking and card making projects. This set of star digital clip art in rainbow colors is a lite version which includes one star clip art in every color of the rainbow. Each star clip art is approximately 7 inches wide and 7 inches tall at high resolution (300 DPI). You will receive the clip art in PNG (transparent background) and JPEG (white background) format. If you would like to share the star clip art with a friend, please send them directly to this page so that they can download a copy for themselves. Please do not link directly to the download file.